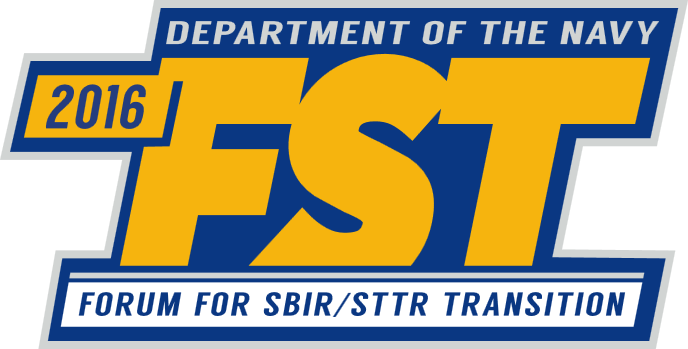 PSI will present information about its newly developed Electro-Magnetic Attack (EMA) RF over fiber optic link technology at the Department of Navy 2016 Forum for SBIR Transition (FST) held in conjunction with the Navy Leagues’ Sea-Air Space May 16-18. PSI will also be exhibiting and demonstrating its single-channel full-duplex products at the Forum. Please see https://navyfst.com/ for more information. 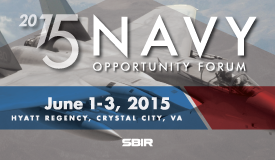 The Navy Opportunity Forum takes place from June 1-3, 2015 at the Hyatt Regency, Crystal City in Virginia. PSI will be there presenting information on its new photonically sampled - electronically quantized high performance analog to digital converter technology. PSI will also be displaying its high performance RF over fiber, and RF interference mitigation solutions. Please visit PSI at IMS2014 held from June 1st – 6th in Tampa FL. PSI will be exhibiting and demonstrating its single-channel Simultaneous Transmit and Receive (STAR) RF front-end technology and product s in booth number 1741. In addition, PSI will be presenting information on a “Single Channel Full-Duplex Enabling RF Front-end – A new capability to increase the utilization of the RF spectrum and improve the efficiency of systems that use the spectrum” in the MicroApps Theatre on Wednesday, June 4, 2014 at 4:45pm. Learn more about IMS2014. Dr. Charles Cox will present a paper titled "A Path to Realizing High-Performance 100-GHz Analog Links" at the Avionics, Fiber-Optics and Photonics Conference (AVFOP) held from October 1-3, 2013 in San Diego, CA. A copy of the paper may be downloaded here and further information can be discussed by contacting psi.info@photonicsinc.com. Learn more about the AVFOP conference here. Photonic Systems will be attending and exhibiting at the IEEE Microwave Photonics conference (MWP) held from October 28-31, 2013 in Alexandria, VA. Please come by an visit us or contact us at psi.sales@photonicsinc.com to scheduel a meeting. Learn more about the MWP conference here. Sponsored by the IEEE Microwave Theory & Techniques, Photonics and Aerospace and Electronics Systems Societies, PSI presented a discussion on STAR technology at a meeting held at MIT Lincoln Lab. The presentation and demonstartion described some of PSI's groundbreaking work enabling simultaneous transmit and receive (STAR) using the same RF frequency in a single aperture antenna system. Simultaneous transmit and receive: a new capability to increase the utilization of the RF spectrum and improve the efficiency of systems that use the spectrum. PSI announces the availability of a new mini optical modulator bias controller (MBC) providing comprehensive control of external optical modulators from a single, small form factor circuit board. The PSI-2011-11 provides automatic tracking of Quad+ bias point. Using a standard dither tone set at 1 KHz, the PSI-2011-11 tracks the operating point to within +/- 1° at 1% dither of Vπ when operating at quadrature. The dither tone amplitude is factory set to 1% of customer specified nominal Vπ. A high degree of bias point accuracy is maintained over a wide operating temperature range of –20°C to +70°C. Using a common photodetector, the bias point accuracy is easily maintained over a >10dB range of optical power. The PSI-2011-11 can be plugged into a motherboard or connections can be made though discrete wiring to the appropriate input/output connector pins. Further information, including a product datasheet can be found here. ratio of DC optical power level at the modulator’s input and output ports. adjustment of the bias voltage applied to the modulator under control. Further information, including a product datasheet can be found here. PSI announces the availability of a new cost effective broadband RF over fiber link that provides excellent RF performance at a cost effective price. The PSI-1600-20L link series incorporates and RF to optical transmitter module along with an optical to RF receiver module for the transmission of RF signals from 50 MHz to beyond 20 GHz over singlemode fiber optic cable. Further information, including a product datasheet can be found here. Please contact PSI about application specific performance needs for this product.